If you don't know me by now my name is Beccy Paget and I have had over 24 years experience in Sewing Machine Sales, over the years I have developed many skills in the use of Machines of all types and makes, including vintage machine's, computerised machine's, overlockers and embellishers. I have taught all sorts of classes in learning how to get the best from your machine and how to overcome difficulties and problems that arise while using them. 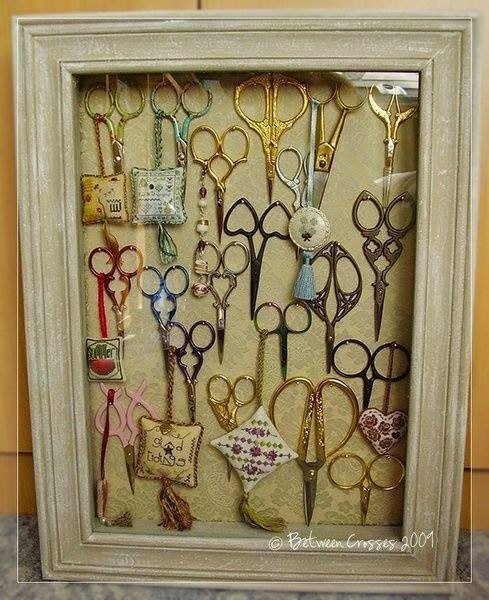 Apart from my passion for the sewing machine I also love a good pair of scissors so I thought i would share with you this lovely picture a friend sent to me the other day. It always amazes me that such a simple piece of equipment can be made into such beautiful works of art, a good pair of scissors can make all the difference when your working. There is nothing more irritating than a pair that doesn't cut properly. give up their stitching journey for the sake of a good pair of scissors! Hope you enjoyed my little blog, I am so pleased to be a part of Busy Bees it is truly a dream come true for me. We are soon closing for Christmas on the 13th December but Ann and I will be around if you need anything particular just email us on www.busybeespatchwork.com and we will do our best to help you out. A very big Thank You and a Merry Christmas to all of our valued customers old and new, see you in the new year!